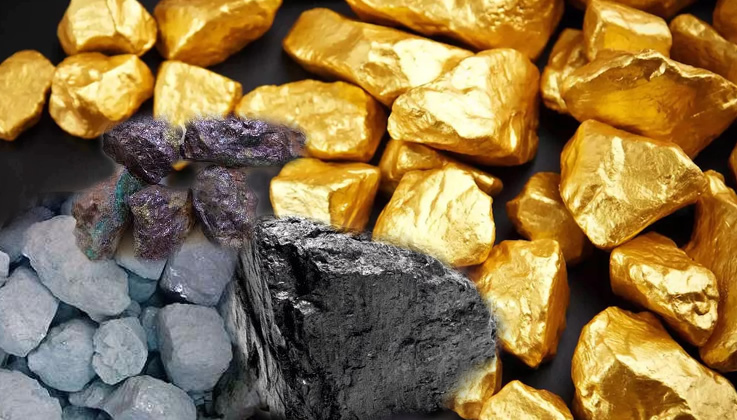 The report, which was presented in Abuja on Tuesday, stated that Nigeria was importing most of the mineral resources because the ones obtained in the country were not processed. According to the report, should Nigeria invest about $123.5m over the next five years, it would be able to harness the local deposits and end the era of importation of industrial minerals. The report stated, “The most relevant minerals (both in volume and value) exploited in Nigeria are minerals used by the construction industry, namely limestone, laterite, sand, clay, shale, dolomite and dimension stones (marble and granite blocks). It added, “Nigeria is highly dependent on imports of some industrial minerals. In 2016, Nigeria imported more than 51,000 tonnes of calcium carbonate and lime, alongside substantial imports of mica and dimension stones. “The value of the imports of these minerals exceeded $28m, i.e., 60 per cent of the total value of imports of industrial minerals. Alongside the construction and water treatment sectors, the industrial minerals imported are used in steel, oil and gas, and in wide range of other industries. The report identified three pathways for the realisation of the local production of the industrial minerals needed in the country. The pathways include the promotion of the provision of construction minerals needed to meet the growing demand of the construction industry and the promotion of the provision of industrial minerals used in industrial sectors, which are considered critical to Nigeria’s economy. Speaking at the presentation of the report, the Minister of State for Mines and Steel Development, Mr Bawa Bwari, said it indicated that a gap of 626,921 tonnes per annum existed in the local production of industrial minerals required by the local industries, which are currently filled by annual importation costing about $44.5m.